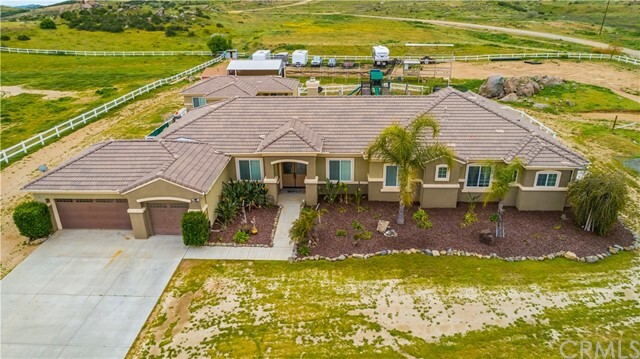 All Perris homes currently listed for sale in Perris as of 04/25/2019 are shown below. You can change the search criteria at any time by pressing the 'Change Search' button below. 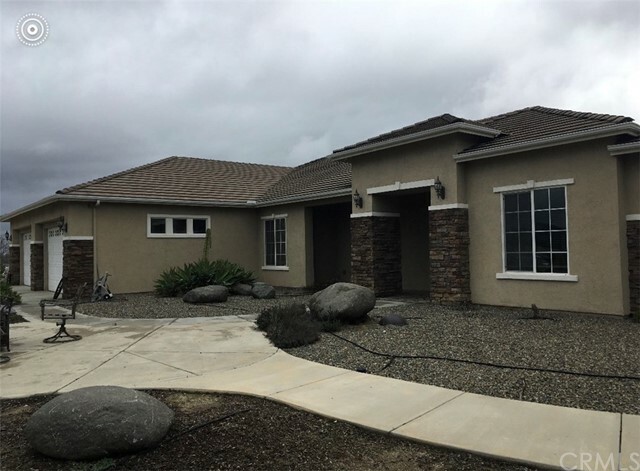 If you have any questions or you would like more information about any Perris homes for sale or other Perris real estate, please contact us and one of our knowledgeable Perris REALTORS® would be pleased to assist you. "Great opportunity for this Commercial / Residential Sale! The Home Offers 1,586 sqft of living space 4 bedrooms 2 bathrooms and 3.18 Acres of land!" "Property with so many possibilities! Over 2.14 acres horse property that can also be used for an orchard, farm, vineyard, garden and so much more. The main house consist of 2,440 sq ft with 5 bedrooms and 3 bathrooms, of which two bedrooms and two bathrooms are downstairs. This home has been remodeled with new windows, new roof, new carpet, new cabinets, new stove, new microwave and remodeled kitchen. Along with the main house there is a modular home on a permanent foundation featuring 1,248 sq ft and has 2 bedrooms and 2 bathrooms. Each home has separate utilities and septic unit. Not only do you get two on a lot there is also a two car garage and separate workshop. From the property you get to admire the views of the rolling hills. Don't miss out on this great opportunity, call today to schedule your private showing." "Sophisticated living with breath taking views. This home sits beautifully on the large acre plus lot behind custom wrought iron gates. Enter this home as you are greeted with marble floors, high cathedral ceilings and an abundance of natural light. This open floor plan lends to some amazing entertaining opportunities. The formal living room has a double door entry to the outside patio. The kitchen has custom cabinets, marble countertops, stainless steel appliances and a large nook for eating. The kitchen opens to the family room, complete with fireplace. The master suite is large enough for any size furniture and has an amazing master bathroom with granite countertops, separate tub and showed and a fabulous walk-in closet. All secondary bedrooms are good size and are on the main floor. The loft is upstairs with ideal space for that movie room along with a full bathroom. The covered patios are extensive with stamped concrete overlooking some amazing flat, usable space. Plenty of room for a pool, toys or horses." "If Home is where the heart is, then come fall head-over-heels in-love with this incomparable estate! Nestled in the rolling hills of Lake Matthews, CA. The home provides views in nearly every direction for as far as the eye can see. Through the front entry step onto the Hardwood floors, a central theme throughout the entire home. To your left is a large formal living and dinning room area, ideal for entertaining guest or large parties. To the right is a multi-purpose room. Currently used as an office it can easily be transformed into a study or space of your choosing. Pass the staircase is the Kitchen. Open and airy, ample space is provided for you as you whip up a delicacy that will leave the entire house yearning for more. The Kitchen also includes granite counter tops, large center island, and Wine rack. Off of the kitchen is your family room, with large windows, it's the perfect place to relax, have a glass of your favorite beverage, light a fire, and let the stresses week go. When the night is over, retire to the large master bedroom for the best view in the house! The master offers ceiling fans, hardwood floors, and a fireplace to name a few things. Not ready for bed, sink into your private Jacuzzi tub and let your mind wander. Living in southern CA, I'd be remiss to not mention the resort style backyard. This summer entertain all of your guest around your custom pool while simultaneously barbecuing and serving drinks at your personal outside bar. Contact us today!" "A Rare Gem!! 2 custom built homes on 2 Acres. Approx 3,010-Sq Ft Main house is a Turnkey Mediterranean style Ranch Estate perched on a gentle hill overlooking city and mountain views. Double door entry leads you into the main house with meandering travertine floors, crown molding, recessed lighting & new Berber carpet, all nicely framed by double pane windows, several French doors & raised panel doors. Spacious floor plan offers 4 bedrooms include a master wing, 2nd master bedroom, Jack and Jill, 3 full baths & large family room with wet bar. Gourmet kitchen with high-end stainless-steel appliances, full size side-by-side freezer & fridge, double ovens, range, kitchen island, silestone counter tops & custom cabinetry. All open to the family room & breakfast nook. The master wing has a large bedroom with fireplace & sitting area, two walk-in closets & access to the patio. Master bathroom has a large walk-in shower with double shower heads, Jacuzzi tub, separate vanities with silestone counter tops & large dressing area. Inside Laundry room with built-in cabinets & sink. Large fully dry walled 3-car garage with attic access. 3 separate AC units, tank less water heaters, fire sprinklers, alarm system. Paved patio all around the property with palm trees and amazing views. Recently painted inside and out. ***Also Includes a 2nd Unit: 3 bedrooms, 2 bathroom, and laundry room. Great income property!!! ***"
"Excellent newly refurbished Adult and/or Child care living facility with 18 bedrooms (potential 36 beds) for possible home care, room & board, special needs, assisted living, senior or Veteran housing, etc. Main house has 6 bedrooms, 3.5 baths, large living and recreation room, 2 offices, dining room and new kitchen, etc., a detached permitted garage was converted into 3 bedrooms with a full bath and laundry room. There is a 2000 SF house to the rear of the property which has 9 bedrooms and 3 full baths. The property is gated and consists of 2.5 acres. 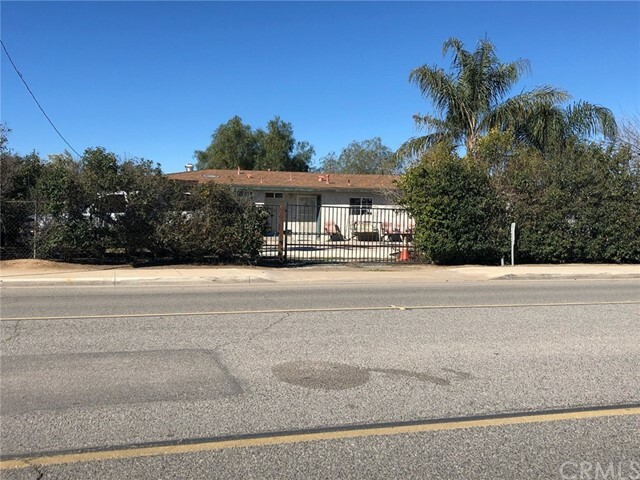 The property previously was used as a permitted adult boarding house, however, any specific adult or child care usage of the facility may require a license from either the County or State of California. The property is being sold in its AS IS condition. The property can also be used for agricultural related businesses, rent or lease, or as a plain single family residence. Buyer should verify property zoning and permitted uses with the Riverside County Planning Department. Seller may consider leasing the property to a credit worth tenant." "FABULOUS OPPORTUNITY!!! These 5,152 SQUARE FEET under one roof (buyer to verify,) built to COMMERCIAL-GRADE SPECICATIONS on 1.85 ACRES allows for MULTIPLE OPPORTUNITIES. GIS report says zoning is M-1, MU. This property is also located in Lake Elsinore s UNDERUTILIZED BUSINESS ZONE. 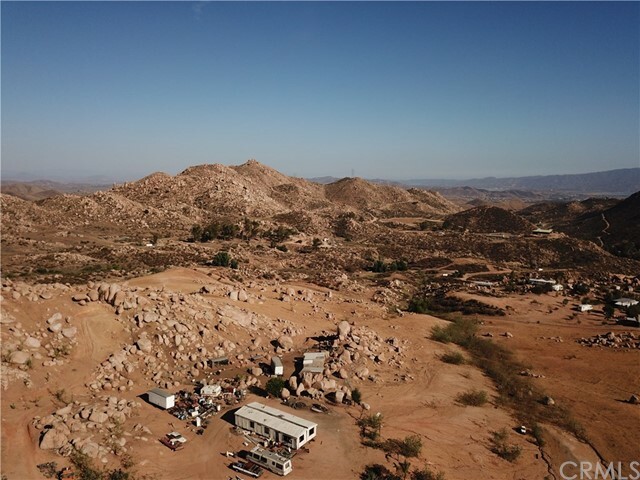 There are more than 90 POTENTIAL PERMITTED USES for this property, which can be located on the RIVERSIDE COUNTY PLANNING DEPARTMENT WEBSITE. Permits for an ASTRO SERVICES-DAY SPA was started but not completed. But that s not all. If you appreciate HISTORICAL INTEGRITY, the center part of the house was built in 1913 (county has it as 1926) out of ADOBE and the surrounding remodel was built in 2003. This home also offers TWO FUNCTIONING KITCHENS and 2 BATHROOMS (one is ADA-Americans with Disabilities Act-compliant.) The upstairs BONUS ROOM is ideal for an ARTIST STUDIO with lots of natural light. But there s more. This home also offers TWO PRE-CAST COMMERCIAL ENGINEERED SEPTIC SYSTEMS. There is also a WATER METER for public water, and a 45-foot-DEEP WELL with PUMP. All of this and located only about 3.5 miles from INTERSTATE 15. If you are looking for a home/business this might be the perfect property for you." "Just zoned MU!!! Save thousands of dollars and years of time to get plans and zoning switched, this commercial lot has it all done already. This Multiple use property with plans already fully approved for retail center or apartment buildings and multiple units. Just in front of state highway 74 which is a 4 lane road with super heavy traffic and up to 100,000 traffic of cars per day and close to multiple major freeways. Only a few miles away from new shopping centers located in Lake Elsinore to handle your every need. Gorgeous 3.62 parcel which is the only one in the area with a double entry or access road. The property has views of surrounding rural areas and mountains. Come build your custom homes or business with apartment buildings or even a retail store, this property offers whatever your heart desires. This lot will not last at this amazing price. Come make an amazing investment today before it s gone!!!" 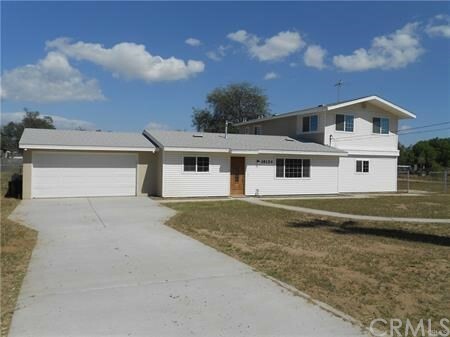 "**SO MUCH GREAT SPACE** This Gavilan Hills property has it all and is PRICED to MOVE! 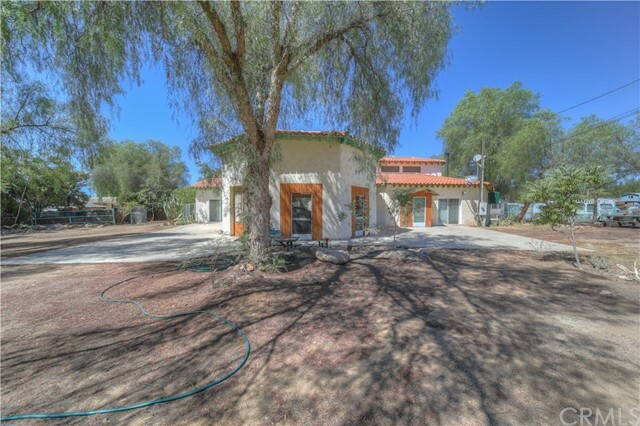 (BUYER TO VALIDATE ALL) 5 bedroom MAIN HOUSE, 2 bedroom CASITA, 3 CAR GARAGE, CABIN with Kitchenette, COVERED RV storage/Horse Shelter, Built in 2006 with a large master suite, formal living, formal dining, an open concept to the family room and kitchen, high ceilings and columns for dramatic effect. Kitchen walks out to a large Covered Patio and fenced back yard. The outside is made to PLAY! Bring your animals or your toys. RV HOOK UPS. In addition to public water- LA MINA HAS A WELL! 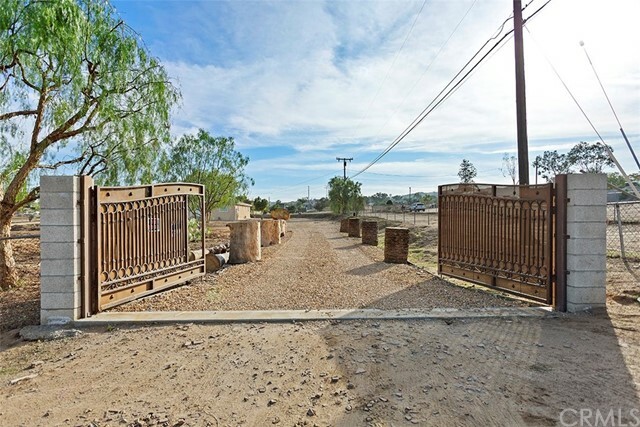 Entire property is FLAT and FULLY FENCED with a gated entry. There are multiple outbuildings for storage and a solidly constructed metal roofed shelter with storage on each side. The homeowner had a RC track in the back that has been leveled leaving nice dirt and well thought out run off if you are considering an arena. There is an announcer's booth that they used for RC races that can stay for a horse trainer or other enthusiast. Property has no HOA but has access through the bridle paths to a community arena. MILES OF TRAILS from the property. Very few neighbors for great privacy. ***THE VIEW IS FANTASTIC***Central location for access to the 15 and 215 freeways. This home is California Living with the FREEDOM you seek! Welcome home to LA MINA LANE!" "Check out this amazing property on 40 ACRES!!! the possibilities with this much land are endless! Tons of land for a planned development, farm, agriculture, animals you name it! This property is zoned rural residential. This property has 2 water wells, as well as two water tanks that can hold approximately 5000 gallons of water. This property is also on a paid off solar system, outlets through out the property along with security lights on the driveway. There is a drip system that throughout the property that was recently installed. There is a chain link fence that covers approximately 30 acres of the property, total of 4 parcels and 40 acres are included in the sale. The views and possibilities with this property are endless, schedule your private showing today!!!" "THIS BEAUTIFUL HOME IS ON A MOSTLY FLAT 2.48 ACRES LOT, ZONED R-A-2 1/2 WITH PLENTY OF FENCED IN ROOM FOR HORSES, LARGE 846 SQ.FT 4 CAR GARAGE, DUAL COOLING AND HEATING, WALK IN PANTRY. 4 BEDDROOMS, 3 AND 1/2 BATHS. THE LARGE MASTER BEDROOM WITH OVERSIZE BATH AREA HAS 2 WALK IN CLOSETS! EXTRA OFFICE ROOM ATTACHED TO ONE OF THE BEDROOMS; POTENTIAL BUYER COULD SEPARATE THE BEDDROOM & OFFICE SPACE BY BUILDING A WALL OR DOOR. THE REMAINING TWO BEDROOMS ARE JACK AND JILL WITH FULL BATH, BEAUTIFUL MOUNTAIN PANORAMIC VIEW, BUILT IN POOL, IT IS LOCATED AT THE END OF THE CUL-DE-SAC. TERMITE CLEARANCE IS AVAILABLE FOR THE NEXT POTENTIAL BUYER. HOME INSPECTION REPORT IS ALSO AVAILABLE TO THE NEXT POTENTIAL BUYER. THE SEPTIC TANK HAS BEEN PUMPED OUT AND ALSO CERTIFIED. THIS WILL SAVE THE BUYERS ALOT IN FEES AND EXPENSES. HERE'S A BONUS.... NO HOAS!!!!" 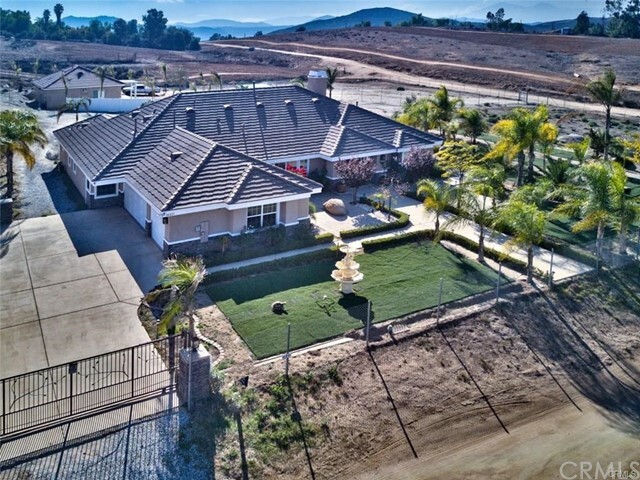 "Private Estate Home in Gavilan Springs. Flat usable acreage fully fenced w automatic gates. Enjoy backyard pool & entertainment center. Sumptuously landscaped w large self-irrigating mixed fruit orchard. 3 car + RV garage & additional gated RV parking. Home features 1O' ceilings, sculpted glass doors, master suite w spa inspired bath. Cook's dream kitchen & pantry. Fully appointed office. Whole house water filtration system. Patch panel wired network thru-out. Security system. Fully automatic irrigation & outdoor lnsteon lighting control systems. Solar panels leased & assumable by buyer. 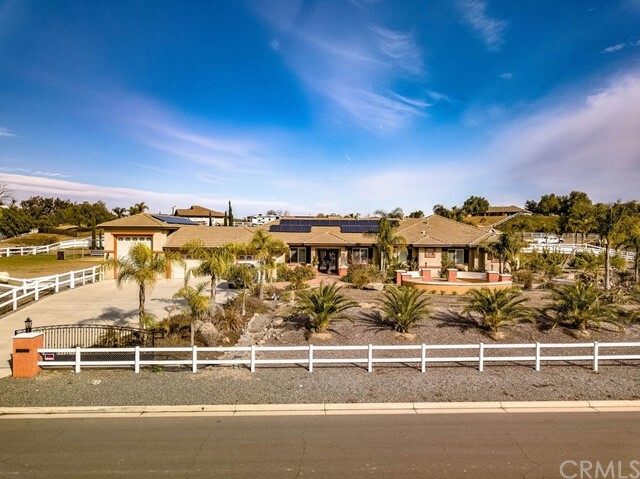 Gavilan Springs HOA includes horse trails & community riding arena w covered stalls." "Your new home awaits you! 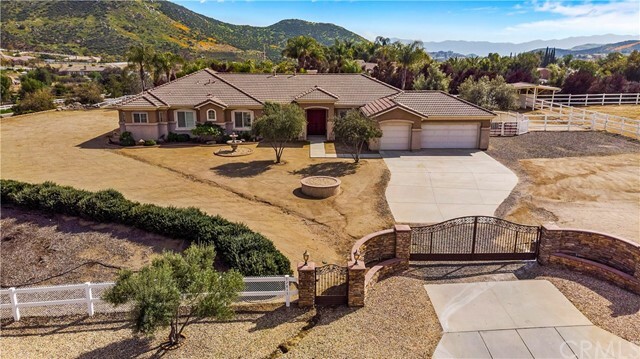 From breathtaking views of Gavilan Hills area to the amazing features of this unique property, you are sure to fall in love and make this your new home. 2 master bedrooms. All rooms are very spacious and perfectly laid out for a very comfortable living. Bright master retreat with walk-in closet, ceiling fan and double door to backyard. Oversize dining room for those great family gatherings. Airy family room with stone fireplace, opening to kitchen/eating area. Upgraded kitchen with many cabinets, pantry and tasteful granite counter tops and island. Tasteful tile floor or carpet throughout. Convenient inside laundry. Dual heater and cooling for more energy efficiency. Huge covered patio in private backyard overlooking landscape to enjoy a glass of wine at the end of the day. Property is fully fenced with double vinyl fence. 3-car garage. Alarm system. 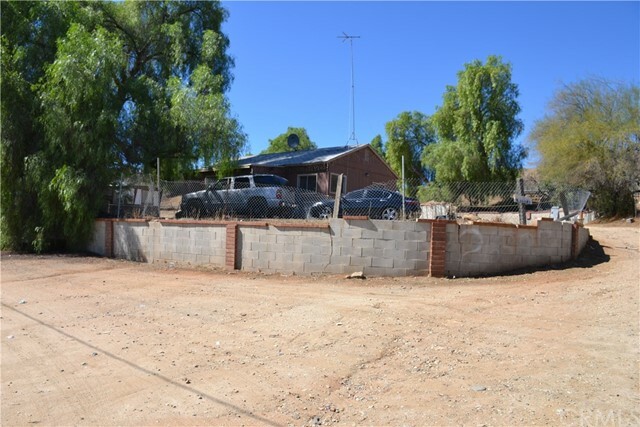 This premium corner location allows access to rear yard by back gate, opening doors to multiple possibilities for this 2.13-acre lot(horse, agricultural, etc). No Mello-Roos or HOA." "Beautifully Situated On 1.8 Acre Premium Lot Gives Unparalleled Privacy & Breathtaking Views Of Surrounding Hills & Pool. A White Split Rail Fence Encircles Property Including A 2-Stall Castlebrook Barn, Tack Room & Turn-Outs. There's Access To 20+ Miles Of Groomed Riding Trails & Community Equestrian Center With Lighted Riding Arena, Round Pens & Covered Stalls. The Spacious Palomino Floorplan Makes It Easy To Serve & Entertain Guest Without Missing The Fun. Lavishly Appointed With A Double Door Entrance Opening Into A Beautiful Welcoming Foyer, 10' Ceilings & Impressive Views Of The Pool Through Large Living Room Windows. A Formal Dining Room With Coffered Ceiling & Mediterranean Columns On The Left & A Double Door Entry To The Office/Bedroom On The Right. A Family Room With Cozy Wood Burning Fireplace Opens Into The Casual Eating Area & Gourmet Kitchen. A Beautiful Inviting Pool & Spa, Outdoor Shower, Fire-pit & Enormous Cabana With A Full Kitchen, Entertainment Center, LED Lighting, TV, Ceiling Fan Makes This An Entertainer s Dream Come True Imagine Enjoying The Night Light Views & Cascading Sounds Of Waterfalls With Your Family & Friends. Power Purchase Agreement (TESLA Energy), To Keep Your Power Bills Low. 3-Car Attached Garage With Gated Side Driveway Provides Direct Access To Barn &/Or RV Parking. There s Plenty Of Room To Park Your Boat & Toy Hauler. Numerous Nearby Lakes For Water Recreation, Hiking & Biking Trails. ENJOY GRACIOUS COUNTRY LIVING AT IT S BEST!" 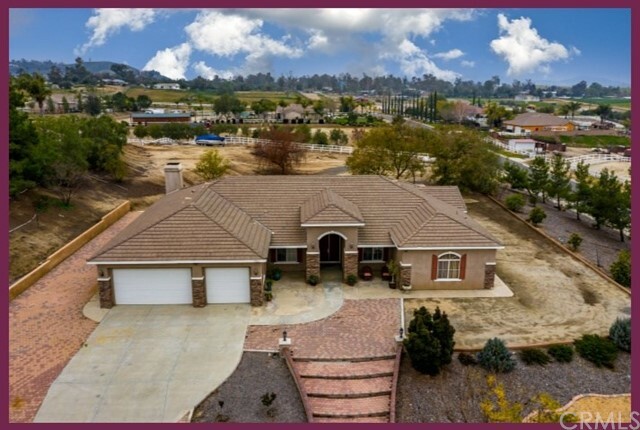 "***NEW PRICE***Sprawling single story gated estate within Gavilan Springs. 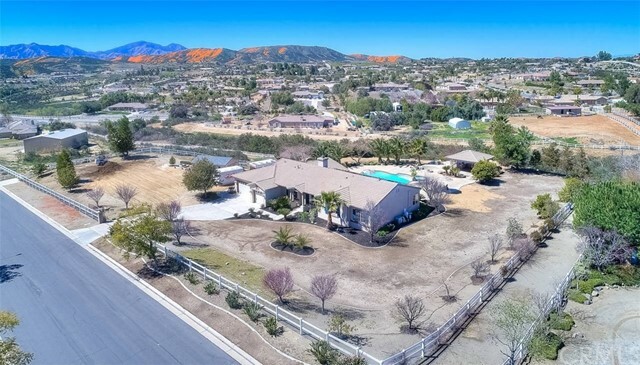 Equestrian themed community complete with riding trails and acres of open space surrounded by mountain and hillside vistas. 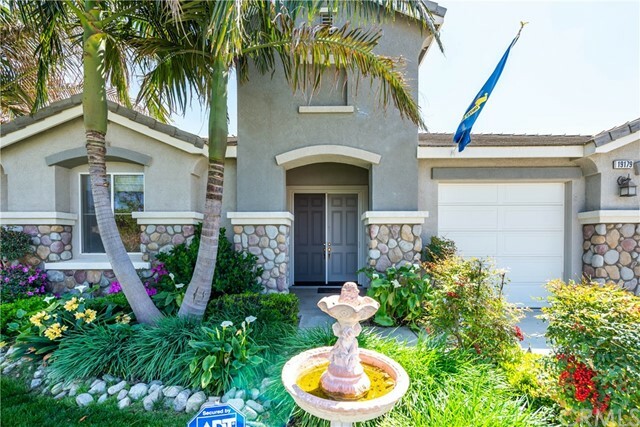 Country charm...yet, city close...just minutes to Dos Lagos in Corona or Mockingbird Canyon in Riverside. Popular open floor plan boasting 10 foot ceilings, gourmet kitchen with large center island, and many interior upgrades. Double walk in closets in the massive master suite. 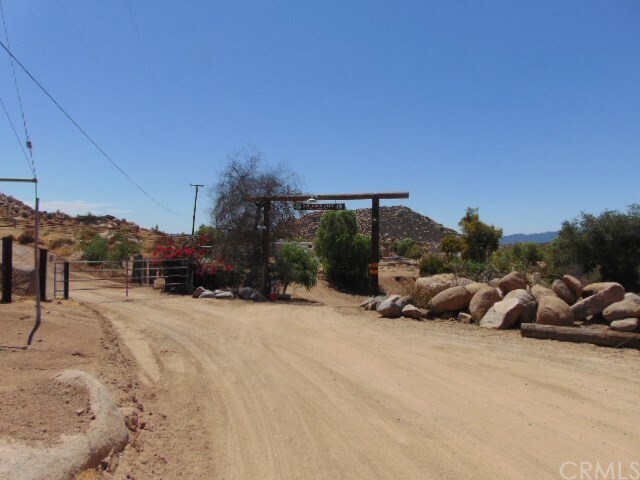 Impressive stone and iron entry gates...nearly 2 acre parcel provides ample space for all of the horses and toys. RV parking, 3 car garage, and equestrian facilities. 2 covered horse stalls, private arena, covered paddocks, hay storage, automatic waters, wash rack, and horse trailer storage area. Fruit trees throughout the grounds and landscape watering is all provided by the well watering system. The home is on city/district water. Multiple areas for outdoor entertaining make this home ideal for year round entertaining." 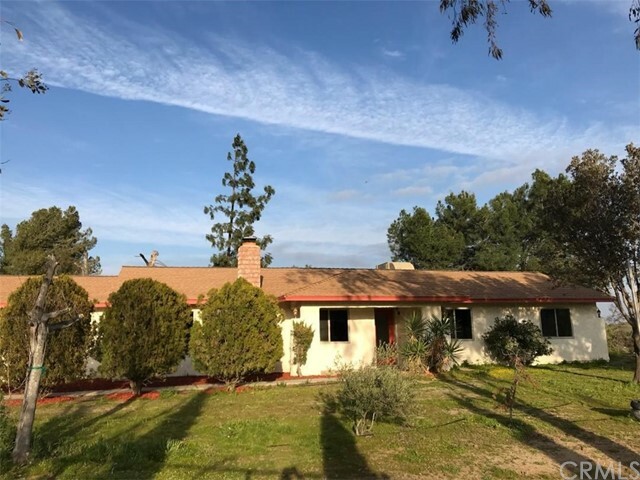 "Build your family compound on this Beautiful Rustic Ranch style home sitting on this secluded corner lot measuring 9.92 Acres. 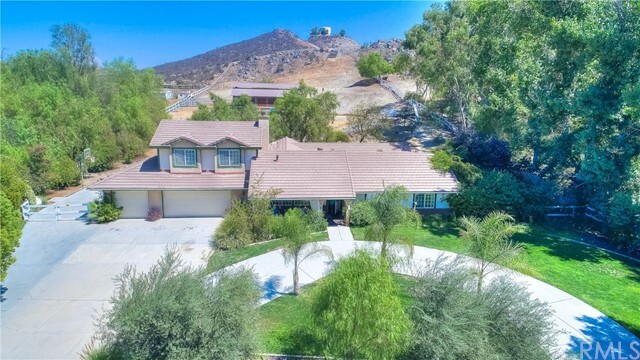 360 scenic views of surrounding Gavilan Hills, Perris Valley, and Hemet Valley. It is totally upgraded, new flooring, light fixtures, paint, appliances. Move in ready. It provides 4 spacious bedrooms and 3 designer inspired bathrooms. This home is very secluded with only 4 neighbors up the dead-end road. You will enjoy birdsong and the wind whispering in the trees as you stroll along the paths on the property. If you like country living but yet appreciate a modern style, this home is for you. A light airy floor plan, open kitchen and a large beautifully built bonus Master Suite that you have to see to believe. All new energy efficient windows and all interior/exterior doors have been replaced. The large mud room is perfect for dirty boots and clothes with the laundry facility conveniently built in. The property also features a water well (no water bill), septic system and is zoned to allow horses, or whatever animals. The home is within the 2.5 acre fenced and gated part of the property with more than 100 planted trees. The additional 8 acres may be split into 3 more parcels. You will love it!! HUGE PRICE REDUCTION!!!!!!!" "Great New Listing!! Party planners, Photographers, and Car guys Dream Home. 1 BEDROOM 1 BATH Barn Style Home! Barn has room for 7+ Cars. One car lift on the inside and another one on the outside. Air lines thru out barn. Property has electrical thru out from horse breeding stable to property pad. Property has a horse stall and breeding Stable. This property is perfect for anyone looking to build their dream home, do party rentals. Great views! This is a must see." "Large Price Reduction - BEAUTIFUL MANUFACTURED HOME ON 11 ACRES WITH A MILLION DOLLAR VIEW OF ENTIRE VALLEY. Great Investment Property with plenty of potential. Most land is useable with a few boulders and plenty of flat land to growing your garden or orchard. Seller has Approved Grading Plan for a 5,200 Square Foot Home. The home features a large 4 bedrooms, 2 bathrooms and over 1,584 sq. ft. of living space. A large Mobil/Storage Unit (non livable), 2 Domestic Water wells, 2 Irrigation Wells, 24 x 48 Green House, 80 x 130 Graded Pad for someone looking to build a Stick built home (with grading plans), 2 200 Amp Electrical Services, 7 Horse Stalls with a Hot Walker, 50 Round Horse Arena, Pig Pen and Chicken Coop. Numerous Extras included. Many new upgrades inside and out. home has its own Well Water, Propane, Electric and Septic. (Seller says land can be divided into 2 lots at buyers expense) This estate offers many possibilities for those buyers looking for a lot of acreage, privacy and a wonderful view of the whole valley. The grounds offer more than enough space for an Orchard, Garden, or a home-based business. 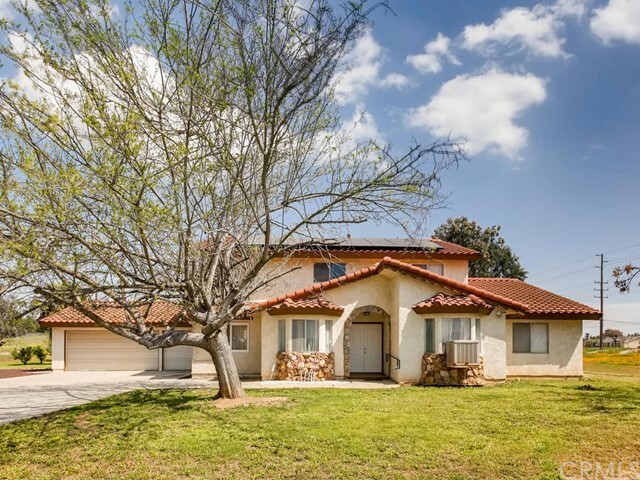 It has a nice country atmosphere and just a few minutes from the local freeways and Shopping/Medical." "Custom Built Single Story Home, Don't Miss This One, Large 3 Bedrooms, 2 Full Baths, Large Office,4 Car Garage, Beautiful Open Floor Plan leads into Upgraded Kitchen with Large Center Island, Relaxing Family Room and Large Living Room and Formal Dining Room, With So Much Beauty inside and out. Move In Ready ! !Ceiling Fans throughout Home, Roman Tub Master Bath, Large Master Walk in Closet. All other Rooms Offer Large Closets and Oversized Front Office. This One has it All. Professionally Landscaped Grounds, 1/2 Acre Lot Perfectly Manicured Front and Back Yard Professionally Landscaped, Backyard Shows Like a Resort, Fruit Trees, Custom Dog Runs and RV Parking and a Large Custom Gazebo Covered with Speakers and Hammocks, So Much to see.. Custom Attached Open Patio. Has Solar Transferable. There is More. Bring Your Buyers." "Attention Investors, Developers and Builders! This sale includes four (4) parcels APN's (345-210-022, 345-210-023, 345-210-024, 345-210-025) totaling just under 7 Acres of land with 3 properties (1 Single Family Home and 2 Manufactured Homes) all to be sold together. Lot One is 46,609 sqft, Lot Two is 46,609 sqft, Lot Three is 63,598 sqft, Lot Four is 147,233 sqft (raw land). This is a must see property to appreciate it's value and usefulness in the land. 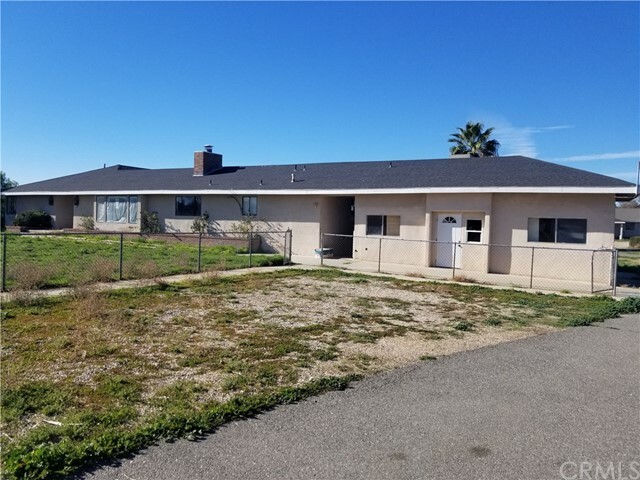 These properties are located in the up and coming area of Perris just minutes from Lake Elsinore, Shopping, Restaurants and Nearby Gaming Casinos. Huge renovation planned for Highway 74 making this area very desirable. Cash buyers only as properties will not qualify for traditional financing and not on permanent foundation. Basically the value is in the Land and Location." 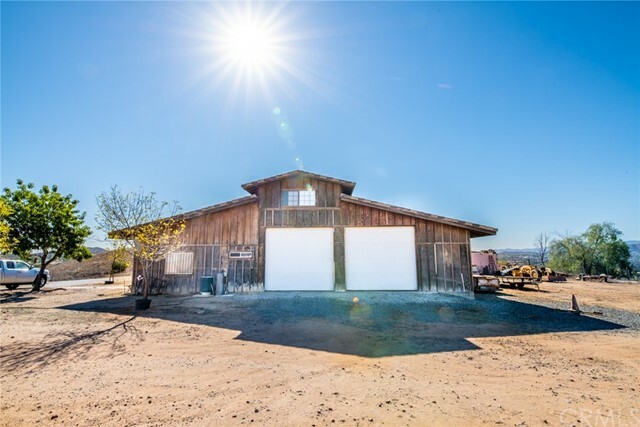 "EQUESTRIAN ESTATE Beautifully Situated In Santa Rosa Ranchos (An Equestrian Community in Gavilan Hills) On 1.91 Acres To Provide Privacy With Awesome Views Of Hills from Custom Breezeway Barn With 4 Stalls, Tack Room & Pasture. Fully Appointed Community Equestrian Center/Lighted Arena & Direct Access To 20+ Miles Of Groomed Riding Trails & Nearby Hartford Springs Reserve, a 325 acre trail riding paradise. White Split Rail Fencing ~ Spacious 3,134 Sf Floor plan ~ 5 Bedrooms & 3 Baths (Two Master Suites) ~ Downstairs Master Has Huge Walk-In Shower With Double Shower Heads & Sliding Patio Door Leading To Secret Garden (Serene Courtyard) With Outdoor Shower ~ Farmhouse Kitchen With Stainless Appliances & Granite Counters ~ Separate Dining Room ~ Walk-In Bird Aviary/Garden Atrium ~ Living Room Has Beautiful Functional Wood Stove/Fireplace ~ Office ~ Family Room ~ Bonus Room With Double Door Entry ~ Large Private Upstairs Suite ~ A Power Purchase Agreement (Solar System) Keeps Your Power Bills Low ~ Small Orchard With Apple/Peach/pomegranate/Asian Pear/Lemon/Orange/Grapefruit/Nectarine/Olive Fruit Trees ~ 3- Car Garage ~ Gated Side Driveway Provides Direct Access To Barn & RV Parking ~ Kids Will Love The Real Playhouse On Side Patio ~ Plenty Of Room For Your RV, Boat & Toy Hauler. Imagine Enjoying This Beautiful Home & Large Backyard Patio With Your Family & Friends... GRACIOUS COUNTRY LIVING AT IT S BEST!" "You'll enjoy the spacious floor plan of this 3006-SF home on 1.96 acres lot with a gazebo and storage shed. The lot is adjacent to horse trails and offers lots of options. This 2 story home features 6 bedrooms, 4 bathrooms, a huge family room with a fireplace and gorgeous hardwood floors, formal living, dining rooms with a bonus room on each floor. The upstairs Master suite includes an office and dual sinks bathroom which takes over the bulk of the second floor. The kitchen includes a breakfast area and plenty of pantry space. Extra-large laundry room with a 3-car garage. The home offers plenty of space both inside and outside. It a multipurpose-multifamily dream!" "Location! Location!Look no further ranch style home. Beautiful home on a large lot with lots of potential to keep building. This property is unique. 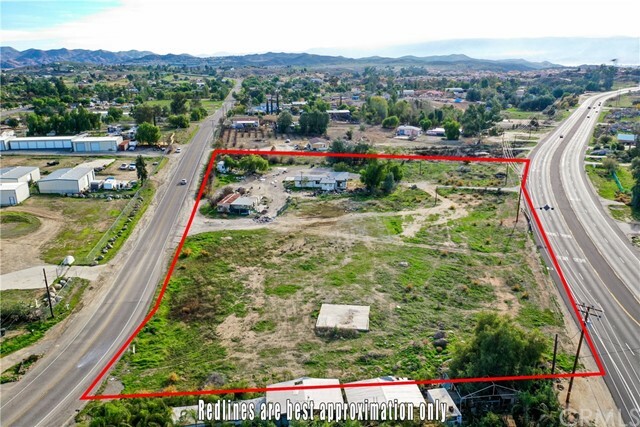 Very Spacious close to everything,well located within minutes to I-215 and I-15 very convenient for commuters, approximate 2.5 acres of flat usable land there is plenty of room for all your trucks or heavy equipment. The home offers an open floor plan with upgraded kitchen, nice cozy family room with chimney for those cold winter nights. Inside laundry area, Spacious bedrooms,nicely upgraded bathrooms,2 detached car garage. The lot has already an irrigation system around the land. Very private still within the city and close to everything. Don't wait and call for a private showing."